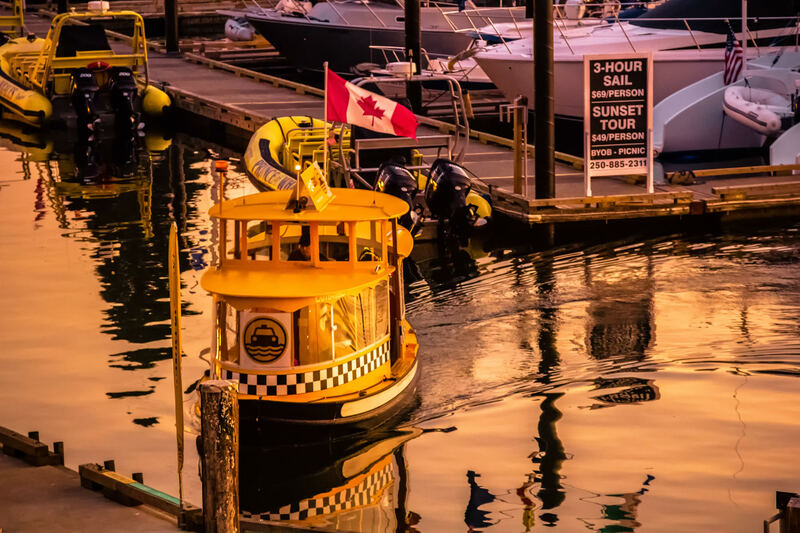 A water taxi glides between piers as the sun sets on Victoria, British Columbia’s Inner Harbour. 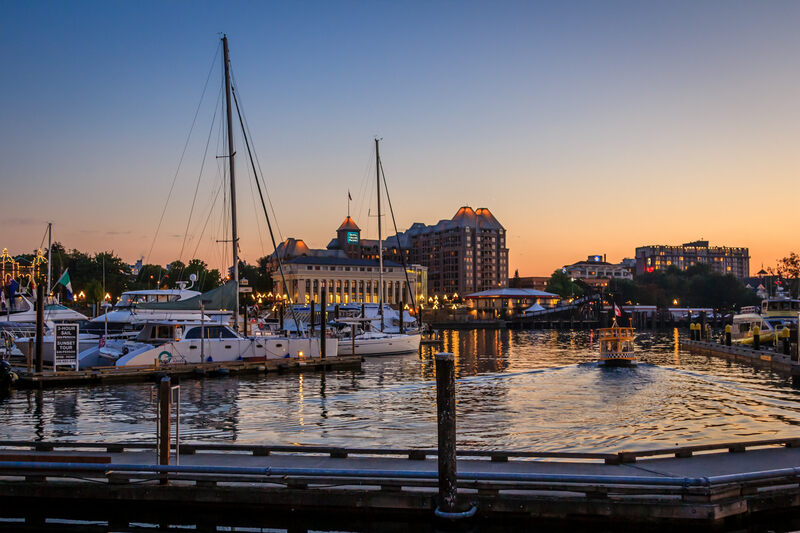 The last rays of sunlight illuminate Victoria, British Columbia’s Inner Harbour. 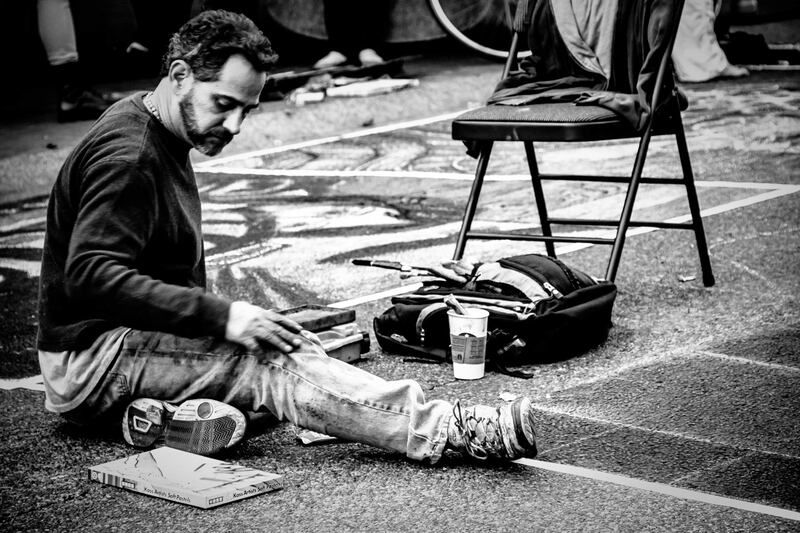 A chalk artist reaches for his medium at the 2013 Victoria International Chalk Art Festival, Victoria, British Columbia. 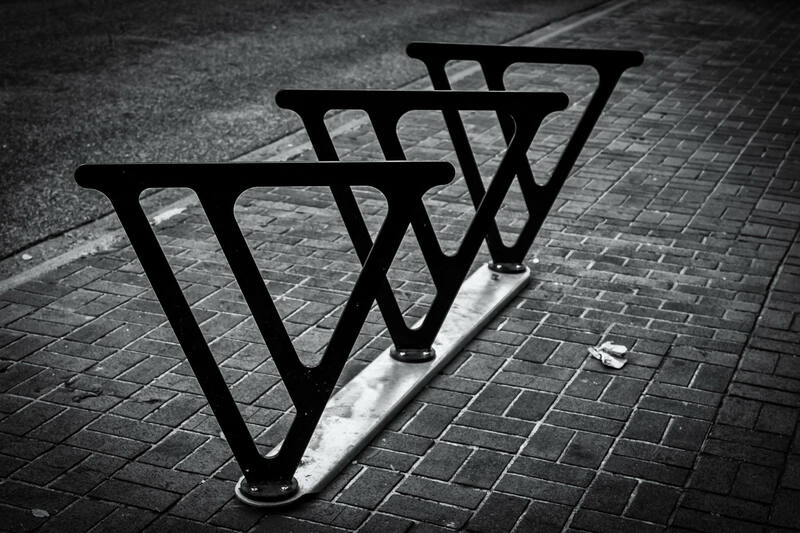 The unique, V-shaped bike racks of Victoria, British Columbia.